The Dominican Republic has recently changed how they handle long term visas, and this is subject to change again. So, look as this as an approximate guide which is based on their current requirements. On entry into the DR you are required to pay a $10 entry fee. Tourist Tax Refunds are availible if you paid the tax with your plane ticket and should be exempt. This entrance fee is paid at the airport by buying a card and giving it to someone as you go through customs. This allows you to stay in the country for 90 days. If you go past that and do not renew your visa you will have to pay a small fine when you leave the country. If you stay longer than 90 days you should go to the capital (Santo Domingo) and renew your visa at the immigration office. This costs about 700 pesos and gives you another 90 days after which you will need to renew the visa again. You can renew your visa twice. If you plan on staying longer you can apply for an extended visa. This costs about $350 dollars to apply and is a bit of a hassle. When you apply for this they will send back to your country for verification of your documents birth certificates etc. This can take a while and should only be done if you plan on staying in the country pretty much permanently. This gives the advantage of being able to get a drivers licence, easier to get bank accounts and so on. When you come into the country you can drive for the first three months legally. after that you need the extended visa to continue to drive. Renewing your visa does not renew your being able to drive. The easiest way to get around that is to leave the country and come back in, afterwards you have three months again. This can be easily done by traveling to Haiti crossing the border and coming back. Your passport gets re-stamped and you can legally drive again. This is a little more expensive, it costs about $45 usd to reenter the DR from Haiti. Once again, use this as an approximate guide. They seem to adjust this once in a while. If you are planning a trip to the DR and plan on flying in you likely have a few questions. I’ll try to cover some of the more common ones here. 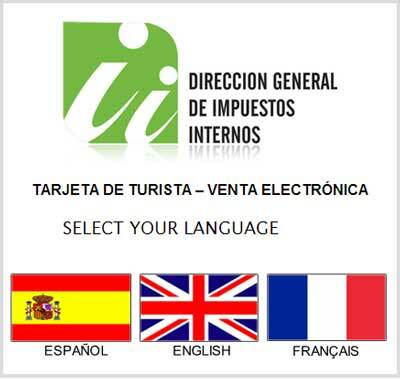 First it’s good to note that the airport personal are friendly here and will try to help you out if you need help however few speak another language besides Spanish, so it does help to already have some of the basic phrases at least written down in case you need them. Once you get into the more tourist oriented areas you will find plenty of people that speak multiple languages English and French (often more of a Creole) being the first on the list after Spanish.